Artistic design wedding band has bright vertical and horizontal cuts on the top satin finish center, featuring two bezel-set diamonds in the pattern. 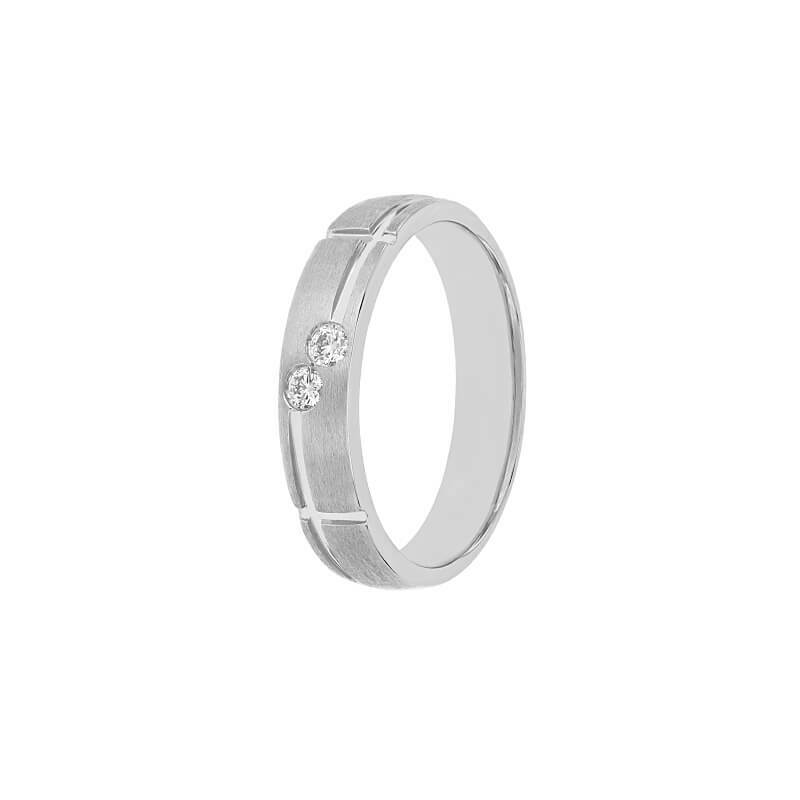 The women's sleek platinum band with round edges is also available for men to create a couple's wedding band set. For customization and other questions, contact info@rajjewels.com or speak to a LiveChat agent.